We're excited to tell you about a new perk for our Enterprise partners this afternoon. SponsorPitch will now audit your portfolio and make up to 10 custom sponsor recommendations to get you started with SponsorPitch Enterprise and just to make sure you're making the most of the platform. These handpicked sponsor recommendations are based on both the holes opportunities that exist within your team or event's current sponsor portfolio such as growing categories that are unfilled, as well as an examination of the larger macro opportunities that we see trending in your favor such as sponsors increasing their spend in your market or among similar types of properties. 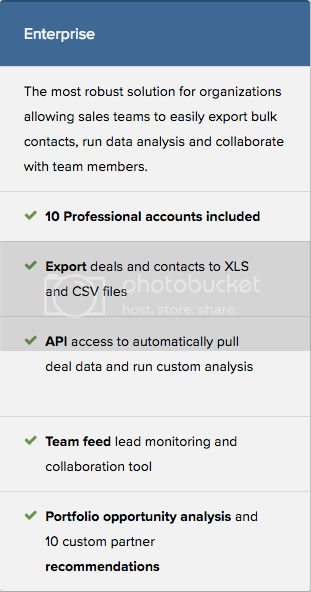 This new addition joins a growing list of features available to our Enterprise teams, currently including access to the SponsorPitch Deal API, SponsorPitch Exports including downloading all the latest deals in excel and bulk contacts in csv files, Team Feed for sales team lead tracking and collaboration, unlimited reports, and 10 professional accounts for one full year. And more on the way! For more info on benefits of subscribing to SponsorPitch, check out SponsorPitch.com/pricing. If you have any questions, info@sponsorpitch.com is the best way to reach out.